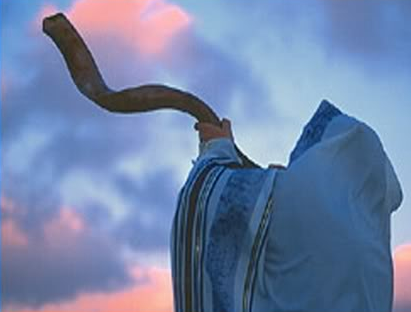 This teaching is inspired by the TORAH Parashah/Parashat “NOACH/Noah” as well as YOM KIPPUR/Day Of Atonement. 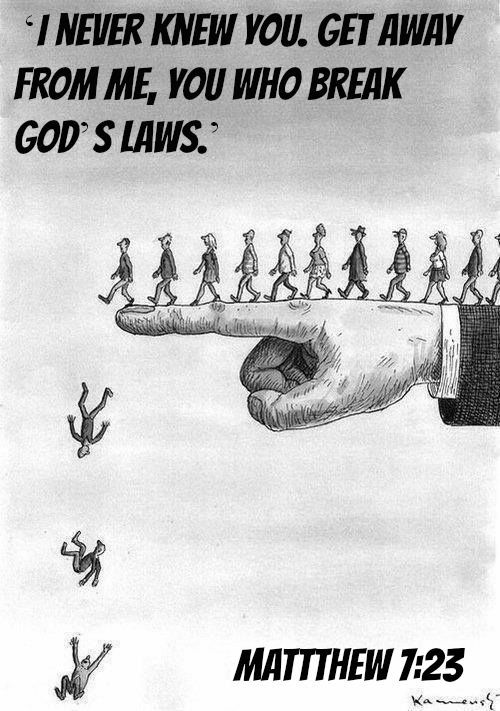 Both the Tanakh/Tanach and Brit Chadashah point to YAH’S Judgement Day! 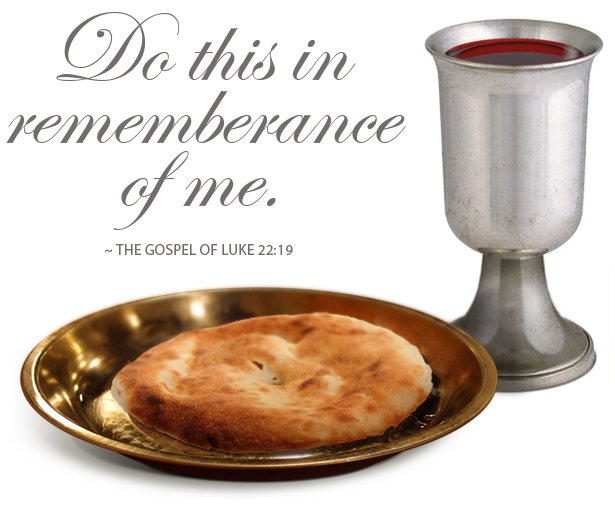 The Books of the Thessalonians, Peter and Hebrews emphasise this issue. 23 The moment the sun rose upon the land, Lot entered Zoar, 24 and Adonai rained sulfur and fire upon Sodom and Gomorrah from Adonai out of the sky. 25 So He demolished these cities and the whole surrounding area, all the inhabitants of the cities and the vegetation of the ground. 26 But his wife looked behind him and she turned into a pillar of salt. 27 Now Abraham rose early in the morning to the place where he had stood before Adonai, 28 and he looked down toward Sodom and Gomorrah, and toward the entire land of the surrounding area, and saw, behold, the smoke of the land ascended like smoke from a furnace. 29 So it was, as God destroyed the cities of the surrounding area, that God remembered Abraham, and sent Lot out of the midst of the upheaval, when He demolished the cities where Lot had dwelt. 14 Judgment day will be better for Tyre and Sidon than for you. 15 And you, Capernaum, will you be lifted to heaven? No, you will go to hell! 25 “Make peace quickly with your opponent while you are on the way to court with him. Otherwise, he will hand you over to the judge. Then the judge will hand you over to an officer, who will throw you into prison. 26 I can guarantee this truth: You will never get out until you pay every penny of your fine. 17 For the time is come that judgment must begin at the house of ELOHIM: and if it first begin at us, what shall the end be of them that obey not the gospel of ELOHIM? 3 We are bound to thank ELOHIM always for you, brethren, as it is fitting, because your faith grows exceedingly, and the love of every one of you all abounds toward each other, 4 so that we ourselves boast of you among the churches of ELOHIM for your patience and faith in all your persecutions and [a]tribulations that you endure, 5 which is manifest[b] evidence of the righteous judgment of ELOHIM, that you may be counted worthy of the kingdom of ELOHIM, for which you also suffer; 6 since it is a righteous thing with God to repay with [c]tribulation those who trouble you, 7 and to give you who are troubled rest with us when the LORD JESUS is revealed from heaven with His mighty angels, 8 in flaming fire taking vengeance on those who do not know ELOHIM, and on those who do not obey the gospel of our LORD JESUS CHRIST. 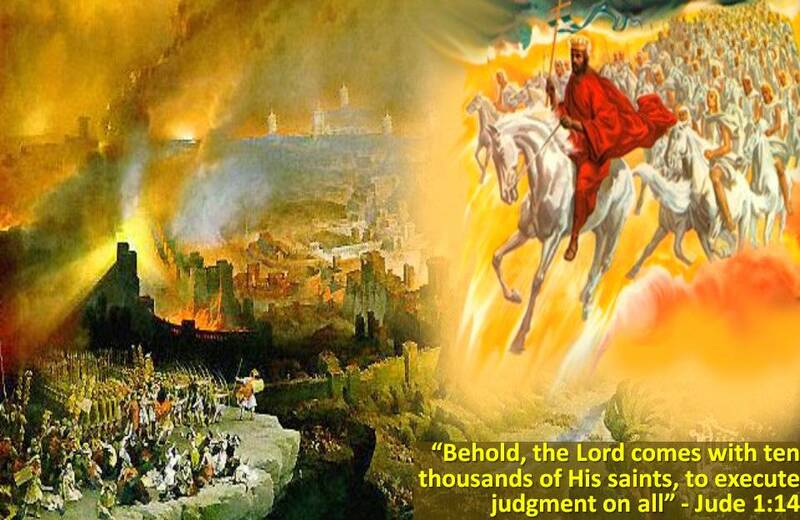 9 These shall be punished with everlasting destruction from the presence of the LORD and from the glory of HIS power, 10 when HE comes, in that Day, to be glorified in HIS saints and to be admired among all those who [d]believe, because our testimony among you was believed. Chanock/Enoch actually had a vision of this day before his Holy Rapture to the Shammayim as recorded in the Book of the Secrets of Enoch. He was so scared especially because he had already visited hell the lake of fire and saw plus experienced a little of what it is like. He gave his descendants a grave warning about how to live on earth and eternity! Some people on the earth as time has progressed and various generations of mankind have come and gone have had visions of hell the lake of fire while others have gone there and experienced it after which they got a second chance on earth. Sadly, very often those who don’t understand the things of the RUACH/SPIRIT mock them. ABBA YAHUVEH gave 120 years to earth’s inhabitants to repent of their evil ways. This is recorded in the Book of Jasher/Upright Man. 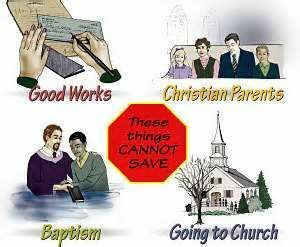 YAH spoke to Methuselah and Noah about this plan. HE then gave them a task to ring out HIS Divine Plan to all the inhabitants of the earth and see if they would change. YAH said that if they repented, HE wouls cancel HIS plan to bring a Great Flood to the earth. Unfortunately, Methuselah and Noah were ignored. YAH also gave the task of building The Ark during the 120 year period. Close to the Great Flood, YAH let all HIS Holy and Righteous Children/People to pass on/die except Methuselah and Noah plus Noah’s family. Methuselah died very close to the start of the Great Flood. In fact, it is recorded that it was after his death that the Great Flood started. On this page, we teach about the latter as we already have a teaching on the former on this website. Noach/Noah just like Chanock/Enoch and Avraham/Abraham was a righteous man, blameless in his generation. Noach walked faithfully with YAH all the days of his life. In fact the Book of Jasher reveals that Noach lived long enough to teach Avraham about YAH! Noach met Chanock (also written as Chanok, Chanokh) before he was translated to the Shammayim/Heavens. Judgement Day is scheduled to take place some time after the Great Tribulation/Time of Jacob’s Trouble and YAHUSHUA HA MASHIACH’S Millennial Reign on earth/the era of Shalom/Peace and Sabbath Rest. This will be the most scary day for all of the human race. There will be no where to hide! All of mankind’s works will be exposed and put through YAH’S Holy Fire thereby being tested. If they are totally burned up, then it implies that the person did not bear any good fruit while on earth to present to YAH as a believer in and follower of YAHUSHUA HA MASHIACH (a.k.a JESUS CHRIST, YESHUA). 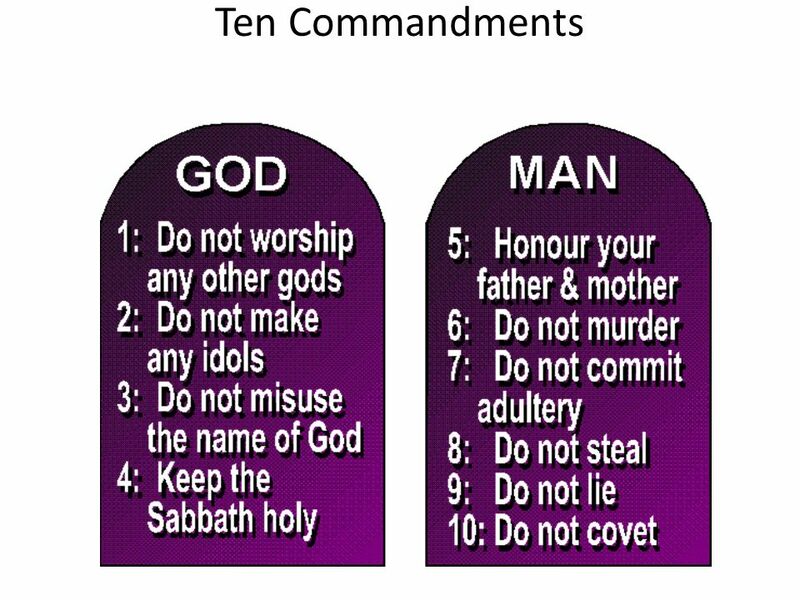 If the works stand the test of YAH’S Holy Fire, then it means that the person did more good works than bad works while on earth, strived to observe/obey YAH’S TORAH and bore many good fruits to presentto YAH. This person will be rewarded greatly by YAH Almighty! The person strived to be holy as YAH is Holy hence having more of YAHUSHUA’S righteousness added to them. 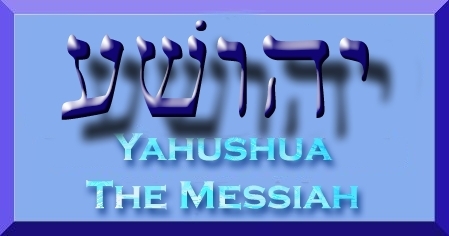 If you have accepted YAHUSHUA HA MASHIACH as your personal SAVIOUR and since then are following YAHUSHUA daily as desired by YAH while on earth, then you have no need to be afraid. 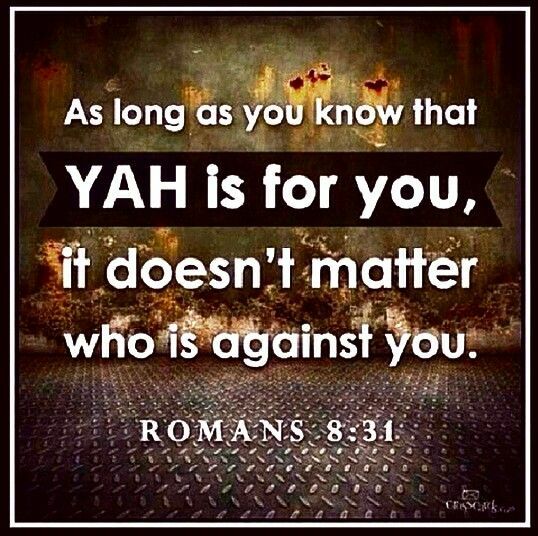 You’re given a certain measure of Righteousness when you accept YAH’S SALVATION after which you are required to build on…YAHUSHUA HA MASHIACH will be your advocate on that day as HE is already your personal LORD and SAVIOUR! Those who have rejected the free gift of YAH’S SALVATION and/or blasphemed against SHKINYINYAH GLORY/RUACH HA KODESH will be judged easily and quickly as their fate will have already been decided upon. They will share the same portion as that of Satan the devil and his other fellow fallen angels who all now known as demons, evil powers, evil principalities. 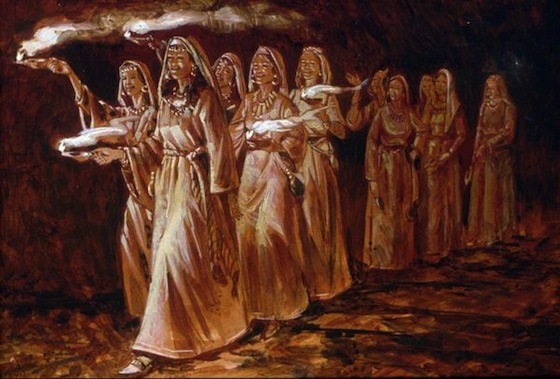 Those who have already experienced earthly death, that is to say that they died on earth without fully and genuinely accepting YAH’S SALVATION will have spent some time in hell the lake of fire (place of torture, damnation and darkness) will be called out to the Shammayim/Heaven on ABBA YAHUVEH’S Judgement Day where they will be officially openly given their life sentence after which they will be sent back to hell the lake of fire to take on their punishment for their sins, that is to say that they will pay for rejecting YAH’S SALVATION or accepting YAH’S SALVATION then misleading HIS people on earth, etc. 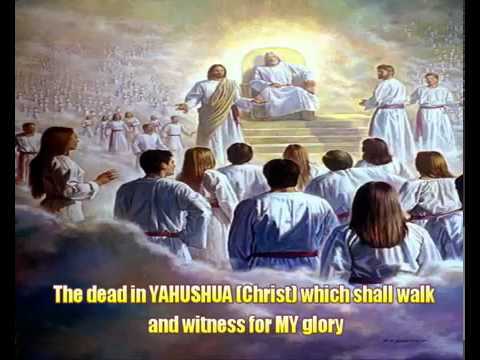 Those true believers in and faithful followers of YAHUSHUA HA MASHIACH while on earth will be judged under different categories, for example, those who will have passed on while on earth will have been somewhere in the Shammayim enjoying YAH’S Glory. They will be called forth and judged. Sodom and Gomorrah was judged with fire and brimstone as recorded in the TORAH. Only one family (Lot’s) was saved just like in Noah’s time. The Book of Revelation 18 says that Babylon and all her followers will also receive YAH’S Judgement. We are commanded to come out. This echoes YeremYAHU’S/Jeremiah’s words recorded in Jeremiah 54. YAH Almighty is constantly watching and judges our thoughts, emotions, will and actions daily.